A family was preparing to bury a 30-year-old son on motzei Rosh Hashanah after he was niftar in Hadassah Hospital in Ein Kerem. The family explains that a religious-looking man approached them and offered to handle all the burial matter, asking NIS 15,000 for his services. They claim to have paid the man NIS 15,000 in cash, and the levaya was set for motzei Yomtov at 10:30PM. 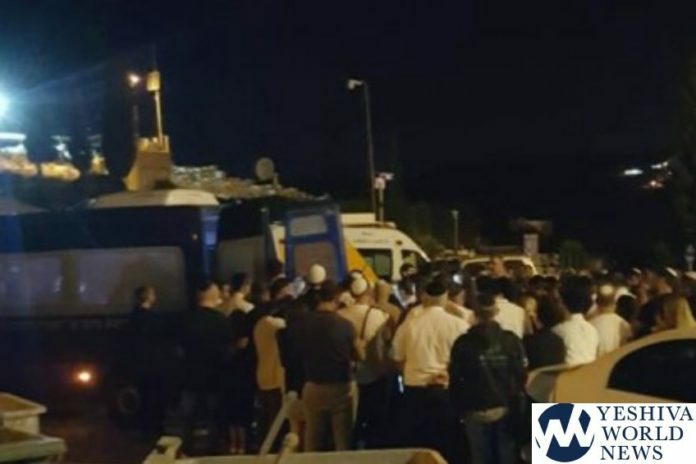 The family and hundreds of friends waited innocently for the chevra kadisha vehicle to arrive with the body of the niftar. 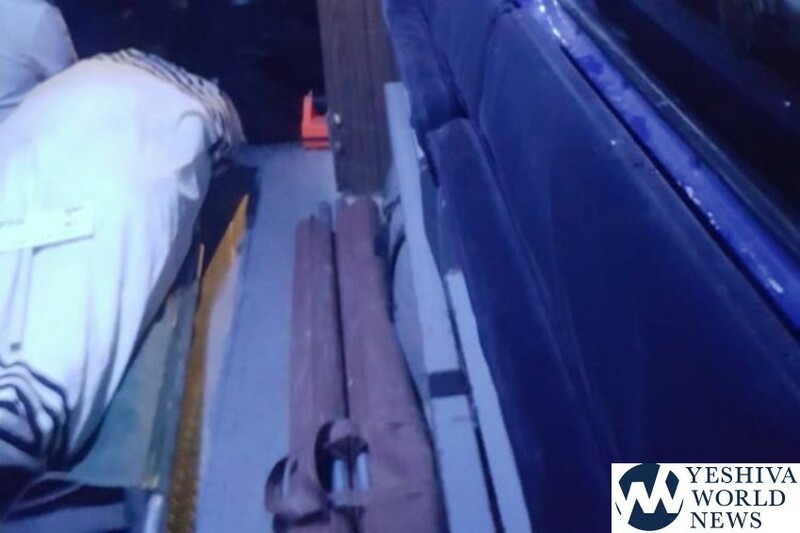 After about a half hour, they checked with Hadassah Ein Kerem, learning no one had come to deal with the body, which remained in the hospital morgue, awaiting the chevra kadisha. They phoned the man who arranged the levaya, but the phone number was not working. They then realized they handed NIS 15,000 to a con artist. The friends returned home as clearly, the levaya was not going to take place soon. Late at night, members of Chevra Kadisha Yerushalayim organized the levaya, which took place at 2:00AM. An announcement was also made for persons to come for kovod hameis due to the situation and the late hour. It included the fact the niftar volunteered at MDA for many years, working to save lives, asking people to come and pay respect to him at his kvura. Dozens of persons arrived for the levaya. The family has filed a complaint with police. B”DE, but this article does not sound credible. What family would hand over NIS 15,000 in CASH to a complete stranger who “looked religious” to arrange the levayah of their son? There ae so many reputable organizations that will handle all the arrangements for a levayah, why would any family turn to such a fraudster. Yes, there are religious fraudsters among us. and it is a real shame. When caught, their beards, peyos and kippos should be removed and then they should be served trief food in jail as is fitting them…. When someone is in a Eis Tzureh and face tragedy they trust anyone who looks frum. Why would someone suspect fraud when Mes mital lefunof? When a person is on the deathbed mamash or just niftar loaleinu, and its a first time they dont know how it works. Whoever steps in there makes it look like this is how its meant to be. @GH- Nope, there are only a few chevra kaddishas, not ‘so many…organizations’ in Israel authorized to do burials. It’s not an unbelievable story in the slightest, as if a old yerushalmi looking man walked over, it would be a normal assumption he was legit, the the fam obviously should’ve been in touch with the beis levayos. Gadolhadorah – you are right but clearly the family were very emotionally stressed as indeed anyone is having to bury a child. Every chevra kaddisha is extremely sympathetic and helpful but the violent non-religious attacks on anything to do with religion make many people think that they will have a hard time dealing with the “religious bureaucracy”, so taking on a helpful fellow to deal with “things” seems a good way out. You don’t even need a “reputable organization”, one call to the chevra kaddisha will suffice. Hadassah have a list of the chevra kaddishas and the process for getting the hospital paperwork is streamlined. The hospital also has a Rav who is very helpful. Sometimes things are better not said out aloud, still less published on the Internet, and your remarks about credibility may have unfortunately unnecessarily further disturbed this family. BDE. > They claim to have paid the man NIS 15,000 in cash, and the levaya was set for motzei Yomtov at 10:30PM. So just when did they hand over the cash? I mean, “the levaya was set for motzei Yomtov at 10:30PM” – doesn’t sound like there was time to get that much cash and hand it over before the 10:30 deadline? Many apologies if my comments implicitly appeared to be criticizing the family. I was questioning the credibility of the reporting given the points made above by several posters that the petirah was at a well known hospital in EY where there is almost always a Rav on site (especially during the yom tovim), where there is always a social worker who may not be frum but is familiar with the logistics of calling a rep of the chevrah kadishah. Perhaps the strangest factoid was that they somehow had access to NIS 15,000 during yom tov and paid it to a complete stranger “who appeared to be a frum yid” during yom tov. Sorry, still something missing here. Sure things are missing but I still question why it is the bereaved family who are implicitly being doubted in this their time of great tzar. Even if they were naive or foolish is that a reason to make them feel worse? Lots of Israelis keep cash around and gathering that sort of sum for something so important is not too difficult. There is no indication that the family had access to the money during Yom Tov and if they did maybe they are a non religious family but like many others like them in Israel have a good heart that knows how much Yiddishkeit values speedy kevura. I really don’t think the family should be implicitly criticized without any factual basis. YWN, maybe block the comments out for the time being until more is known. Have your Israel bureau chase this up and report on the outcome. What’s the point of the photos? There is a special place in Gehanim for the monster that carried out this ganeiva.